The attack on two New Zealand mosques by a white supremacist has spurred new concern over the threat posed by violent far-right extremists. Bruce Hoffman, CFR’s Shelby Cullom and Kathryn W. Davis senior fellow for counterterrorism and homeland security, offers his assessment. The attacks in Christchurch, New Zealand, this month have sparked concern about a sharply rising white nationalist threat. How serious is it? 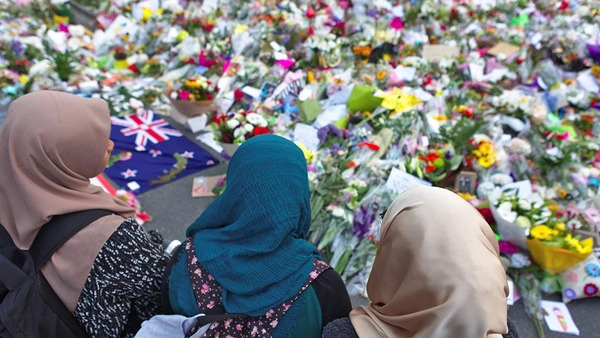 White nationalist terrorism and its variants—those that embrace racist, anti-Semitic, anti-immigrant, and anti-government sentiments—have existed for decades in countries including Australia, France, Germany, Italy, the United Kingdom, and the United States. In the past their acts were mostly isolated, spasmodic outbursts of violence. Today, however, the internet and social media unite disparate, disgruntled individuals in an ideologically more cohesive echo chamber, which radicalizes, inspires, and motivates acts of wanton violence. Some commentators suggest Western countries have been blind to the threat posed by far-right terrorism while maintaining a tight focus on Islamist terrorism. How valid is that? The comparatively well-organized, transnational terrorist threats posed by both al-Qaeda and the self-proclaimed Islamic State have understandably consumed the attention of intelligence and law enforcement agencies during the past couple of decades. But this doesn’t mean that the threat from far-right terrorism has been dismissed or ignored. Even at the height of the Global War on Terrorism, the FBI’s strategic plan identified “lone wolf” violence by “right wing extremists, espousing anti-government or racist sentiment” as a salient domestic terrorist threat. The United Kingdom took signal action by banning the neo-Nazi National Action Group in 2016. The most recent National Strategy for Counterterrorism [PDF], released by the White House on October 1, 2018, notably was the first of the four strategic counterterrorism documents released since the 9/11 attacks to call attention to the rising threat of white nationalist/far-right terrorism, both globally and domestically. I have no doubt that the New Zealand mosque attacks will result both here and abroad in focusing increased attention and resources on the rising threat of white nationalist/far-right terrorism. The challenge is that countering terrorism is no longer the preeminent national security priority of the United States, even as both international and domestic terrorism threats have become more numerous, more diverse, and more complicated. The House Judiciary Committee will reportedly hold hearings next month on the rise of white nationalism. What steps should law enforcement officials take to combat the threat? Authorities in the United States and elsewhere need to be knowledgeable about these dangerous advances in radicalization. Five years ago, when U.S. law enforcement agencies were asked to identify the most serious violent extremist threats they faced, they cited far-right, anti-government extremists, followed by Salafi-jihadi-inspired extremists, radical environmentalists, and racist violent extremists. But given the rise of violent white nationalism, the growing traction of far-right extremism, and the power of twenty-first-century communications platforms, the threat is evolving rapidly. Authorities in the United States and elsewhere need to be knowledgeable about these dangerous advances in radicalization, recruitment, and the exchange of operational and attack information. Recognizing likely indicators will facilitate intervention and prevention, and hopefully thwart future terrorist incidents. Additional intelligence sharing, training, and education to keep pace with this dynamic, unfolding threat is needed. How should authorities address such platforms? The power of social media turned the terrorist attack in New Zealand into a perverse form of performance art. The New Zealand authorities demonstrated how governments can quickly intervene to restrict the spread of this repugnant propaganda online, but this is reaction, not prevention, and the latter will be the subject of intense scrutiny and discussion between governments and these platforms. As with any threat to society, a balance must be struck between the preservation of free and open expression and the protection citizens expect from authorities. Is media partly to blame for the rise of lone-wolf terrorists? It is not the cause but has incontrovertibly been an enabler. An example drawn from al-Qaeda, using anachronistic twentieth-century media, and the Islamic State, using twenty-first-century digital platforms, illustrates this dynamic. In December 2001, Ayman al-Zawahiri, then al-Qaeda’s second in command and now its leader, published a treatise in a London-based, Arabic-language newspaper. It called for al-Qaeda’s sympathizers and supporters across the globe to carry out individual terrorist attacks as the organization was being expelled from Afghanistan. Appearing in print and with limited circulation, it elicited no response. Thirteen years later, Islamic State spokesman Muhammad al-Adnani issued a similar call to his group’s acolytes. Using state-of-the-art social media apps and other platforms, Adnani set in motion attacks in Australia, Canada, England, France, and the United States that continue to this day.